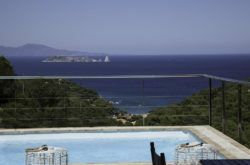 Hotels in the Costa Brava, we offer online booking service. 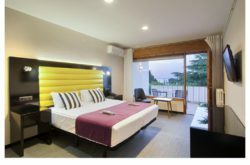 Hotel Sa Punta, Pals, Costa Brava online bookings. The Costa Brava is a coastal region of Catalonia in northeastern Spain. 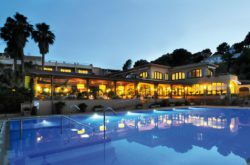 Costa Brava stretches from the town of Blanes to the French border. 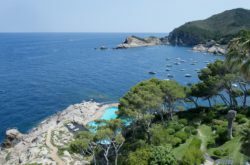 The combination of a very good summer climate, nature, excellent beaches and a favourable foreign exchange rate, which made Costa Brava a relatively inexpensive tourist destination, was exploited by the construction of large numbers of hotels and apartments in such seaside resorts as Blanes, Tossa de Mar and Lloret de Mar.